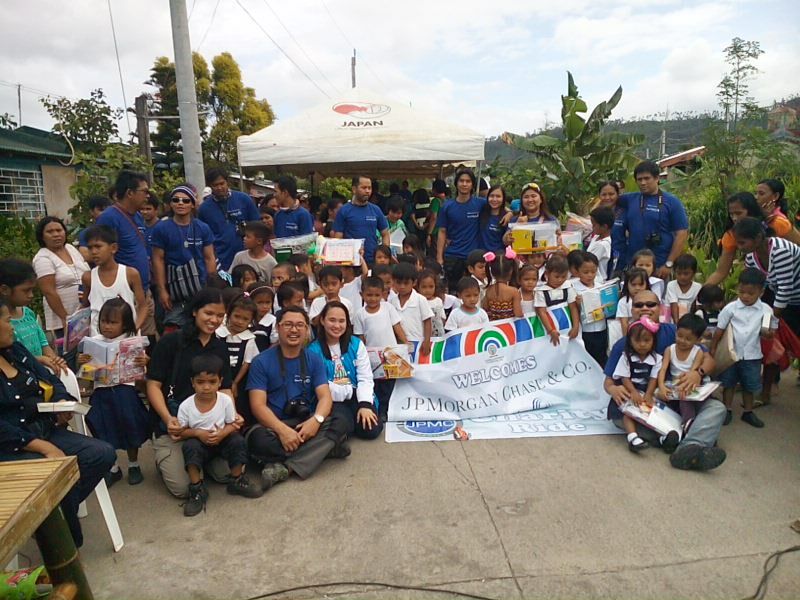 More than 100 employees of JP Morgan Chase & Company went to Calauan Laguna by just using their motorbikes to repaint the classrooms of First Ville Day Care and build new cabinets for the students. Aside from the day care rehabilitation activity, the students also enjoyed the games that the group has prepared for them like the Trip to Jerusalem. The employees ended the day by having a boodle fight in which the tasty meal was cooked by the teachers of the Day Care. This project was done in partnership with Programa Genio of ALKFI.